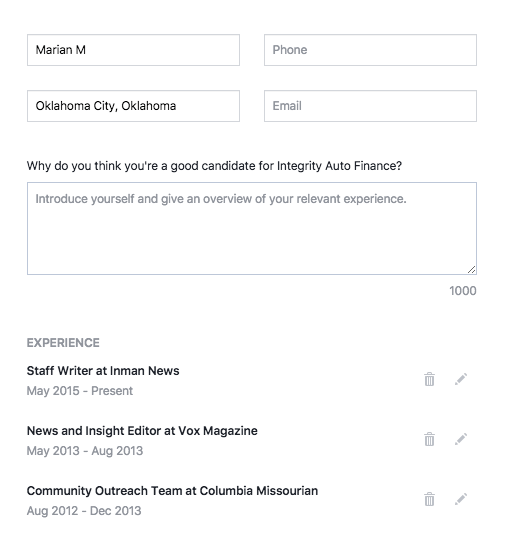 Facebook has launched its job listing feature for business pages. Job listings can be found in the 'jobs' button under the 'explore' tab on the left-hand side of the News Feed. Also, some listings will appear within the News Feed itself. When a user applies for a position, admins will receive a message. Over the past year, Facebook has been rolling out update after update, which included features such as Facebook Live and Facebook Marketplace, a Craigslist-esque function that allows users to sell items. Now, the social media giant has officially launched its newest feature — job listings. With the jobs feature, businesses can post listings and invite applicants to apply without leaving the site. Each time a user applies, the admin will receive a message and can arrange an in-person interview. 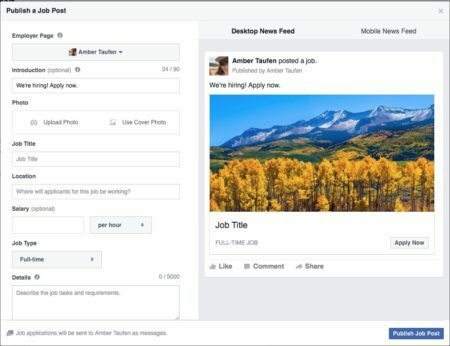 In addition to making the search easier for employers, Facebook is taking some of the tediousness out of the process for job hopefuls, too. Jobs will appear in the News Feed and in the jobs bookmark located on the left-hand side of the screen under the “explore” tab. When a user clicks on the ‘Apply Now’ button, Facebook will take any of their relevant profile information to automatically populate an application form. From there, applicants will be able to edit the information before they finally submit it. 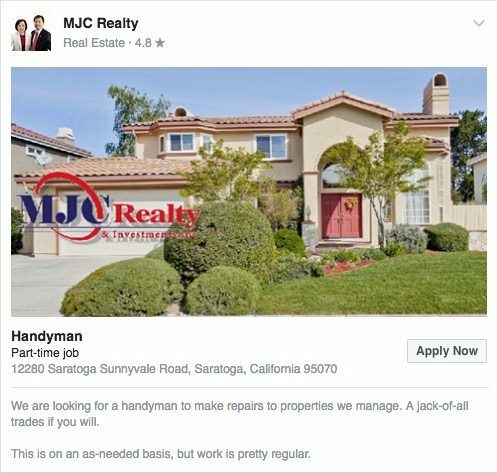 Over the next few weeks, Facebook will be rolling the feature out to businesses across the U.S. and Canada, and a few real estate brokerages have already jumped on the opportunity to use the jobs feature. “It took three minutes to fill out the information and put it out there. Then someone saw the post, we talked and it was done,” said one business owner highlighted in Facebook’s announcement.